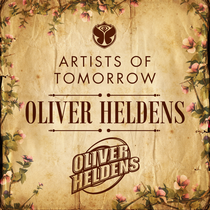 One of the United States' most exciting new dance music festivals, TomorrowWorld, launches its ‘Artists of Tomorrow’ mix series on its brand new SoundCloud page with Oliver Heldens as its first feature. As clubbers begin to prep for this year's festival running from 26-28 September at Chattahoochee Hills just outside of Atlanta, Georgia, TomorrowWorld showcases the up-and-coming performing artists that are expected to help shape the future of dance music. Oliver Heldens kicks off the series with a one-hour offering that features an eclectic array of tracks in line with his house music style, while giving fans a taste of his live DJ sets. TomorrowWorld fans can expect content on the festival's SoundCloud page from here on out. Have a listen and download the mix below.